Goals from McCarthy, Lukaku and Barkley secure a 3-0 victory over Newcastle United. James McCarthy gave the Toffees the lead in the 20th minute on Sunday and Romelu Lukaku doubled the advantage with a penalty shortly after half-time. Newcastle had barely recovered from going 2-0 behind when captain Fabricio Coloccini was shown a straight red card for a reckless tackle on Aaron Lennon. 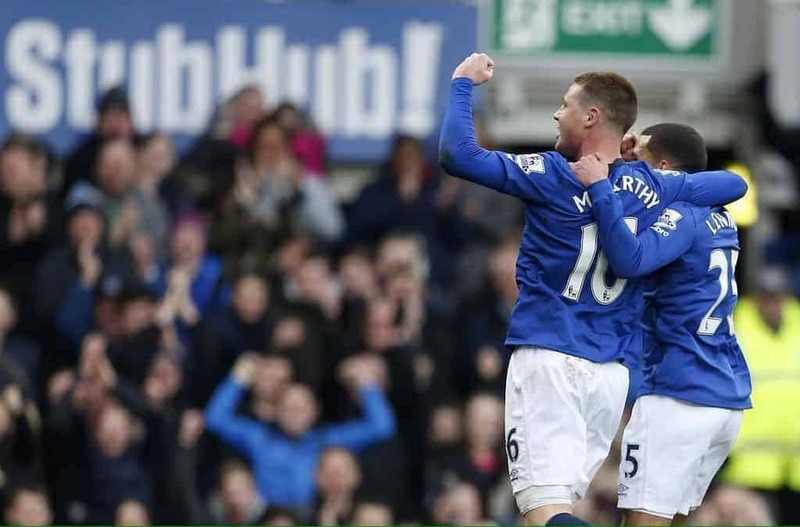 And Ross Barkley rounded off a fantastic afternoon for Everton when he netted the third deep into injury-time.